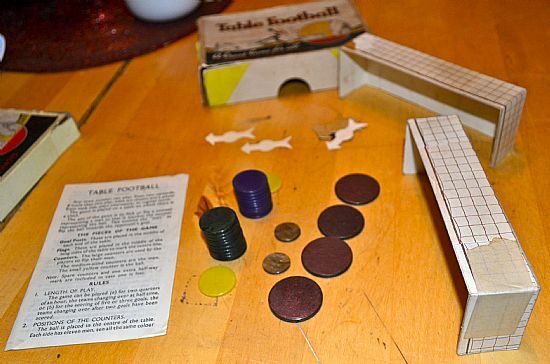 Tiddlywinks football game that has been recently re-issued. 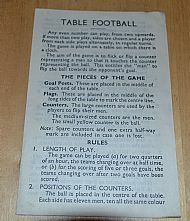 This is an original 1950s version. 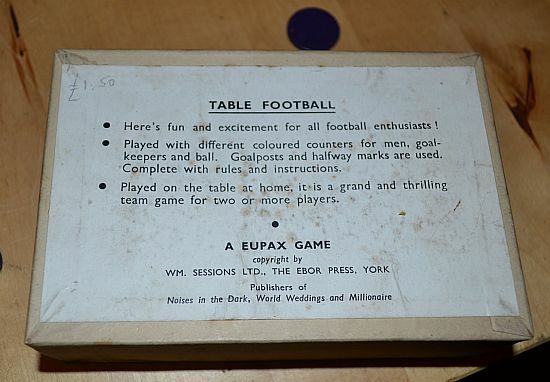 Small boxed game containing various pieces. Played in the classic tiddlywink style. 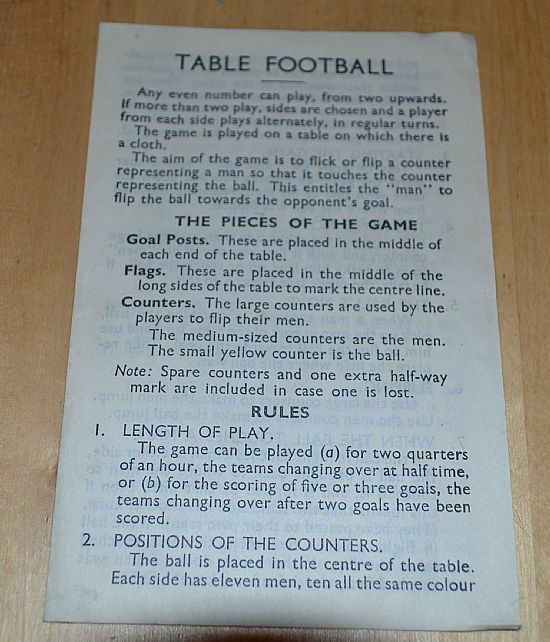 Two teams of plastic tiddlywinks, 2 flickers, a ball, 2 card goals, 2 halfway line markers. 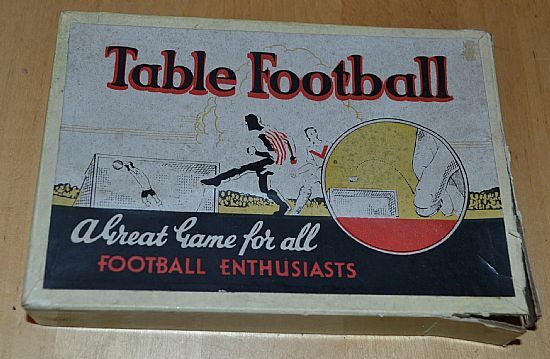 Classic tabletop game with the addition of card goals and the bizarre arrow markers.